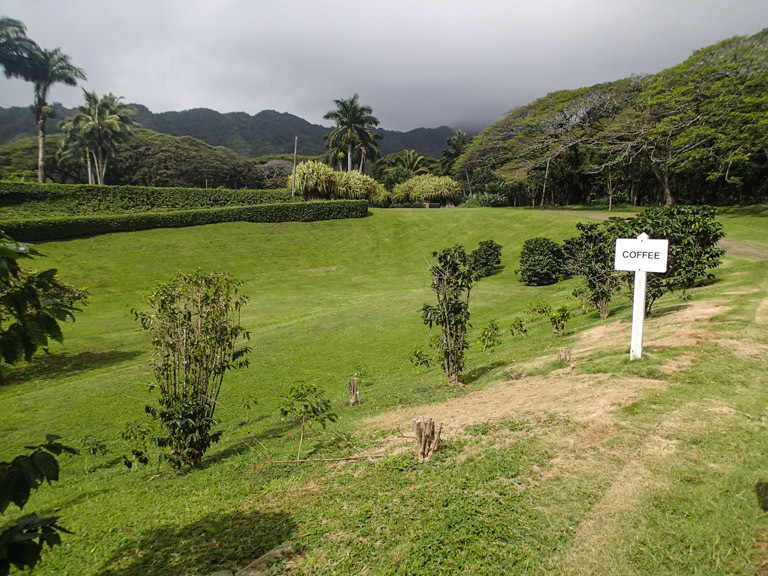 Up on the North Shore of Oahu, on a rare piece of untouched land surrounded by the Kualoa Mountain Range, there is a 4,000 acre ranch. 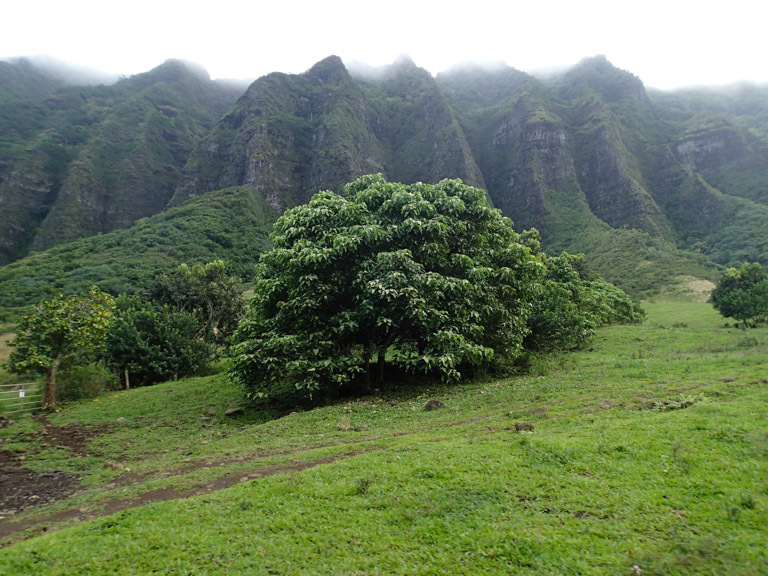 It’s a place where cows actually get to roam freely, where movies like Jurassic Park were filmed, where you can go back in time. 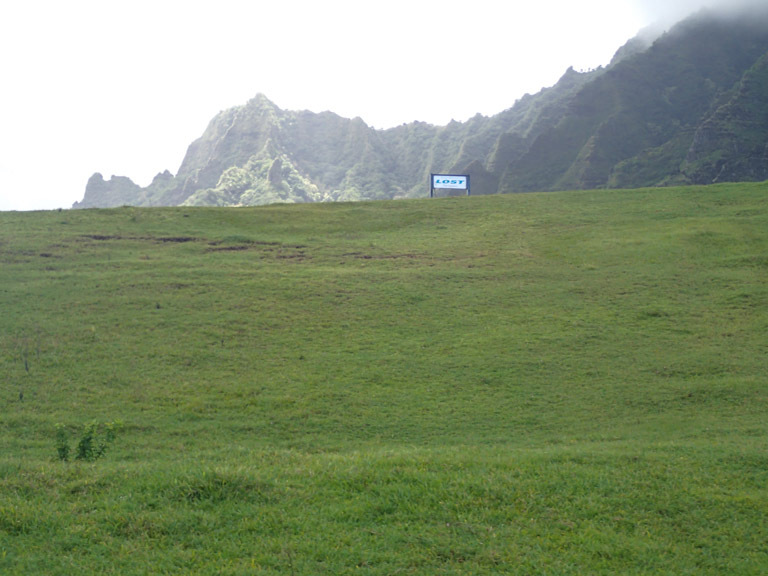 That ranch is Kualoa Ranch. You can see cows from the highway as you drive by, just lounging and grazing. You don’t see this every day and I think it’s pretty great. 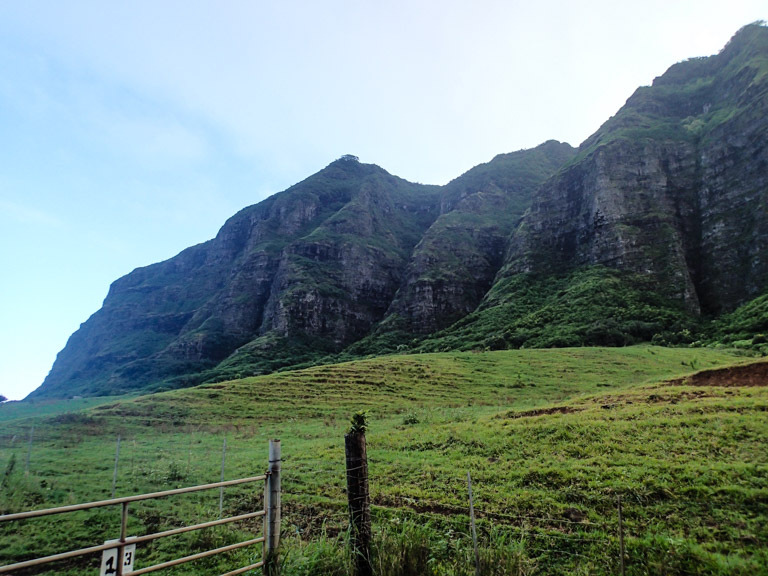 The first time I visited Kualoa Ranch, it was just to pick up some steaks. I had no idea how much this place has to offer for visitors tourists. 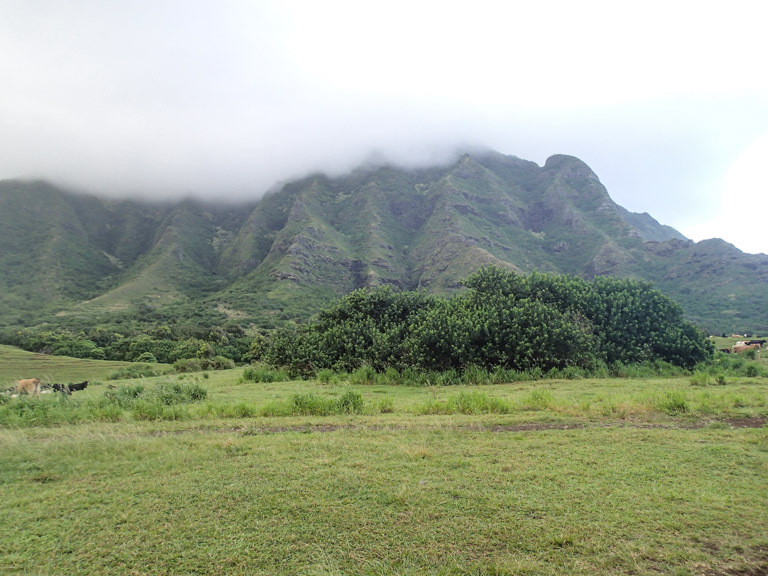 There have been tons of movies and TV shows filmed here, and some of these sets have been preserved. 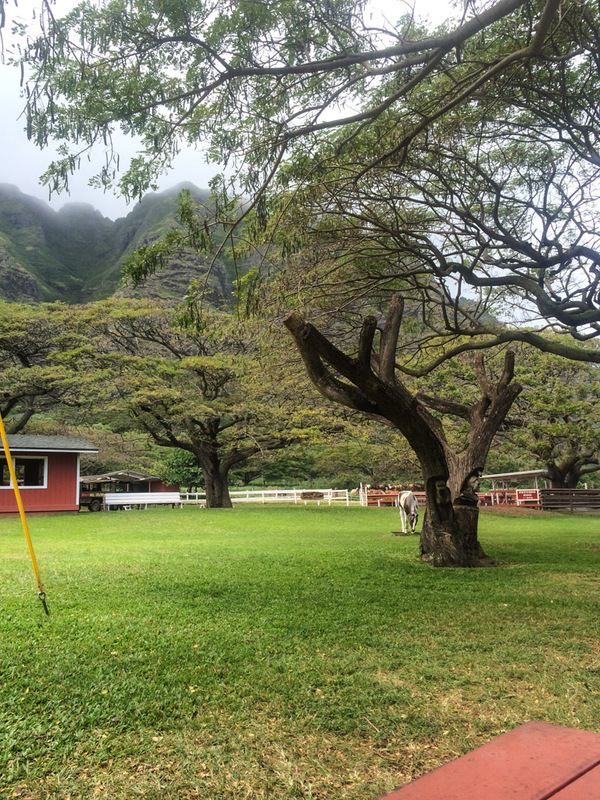 Kualoa Ranch was also home to some pretty interesting history. The ranch has a lot to offer, but the only way to see any of it is through their tours. 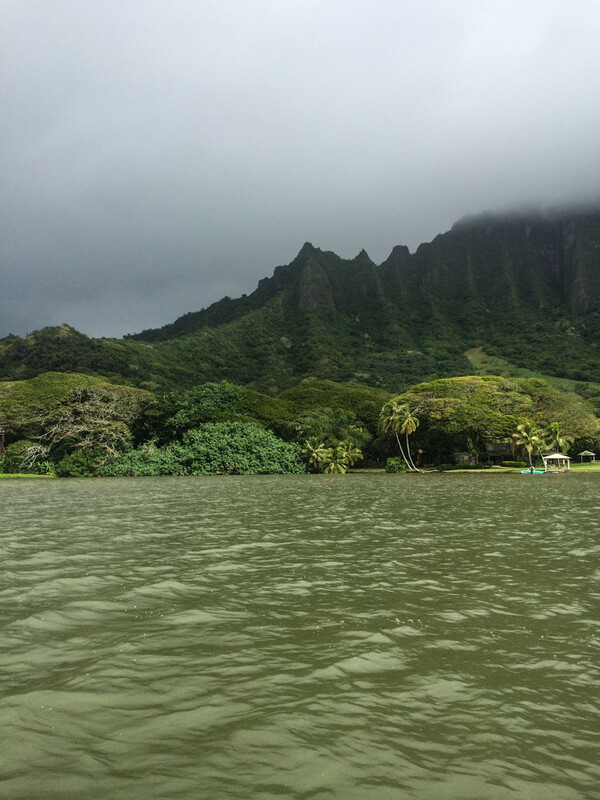 They offer a bunch of different tours that will take you to the places where movies were filmed, or will show you all of the beauty and history that this place has to offer. 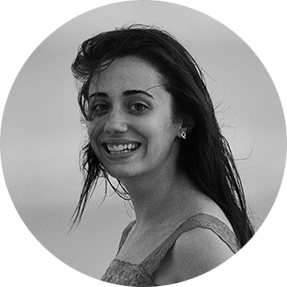 There are also ATV tours and horseback riding, if that’s your thing. 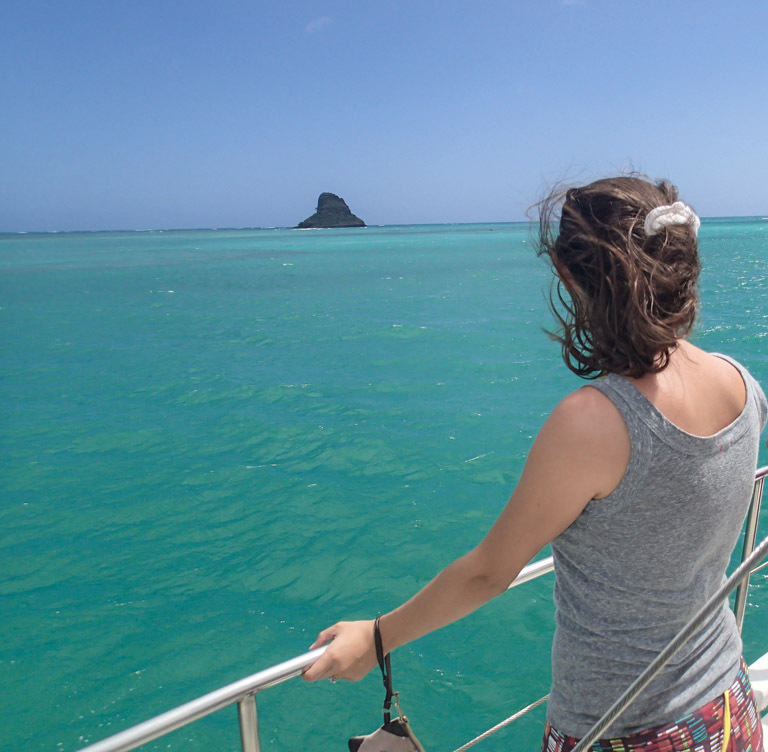 Or if you really just want to relax and take it all in, there are tours that will take you on relaxing boat rides, to their own “secret” beach to just lounge around, and through their gardens. You could spend a whole day on this ranch going on the different tours, and that’s exactly what we decided to do. I will come right out and say it — this place totally caters to tourists. 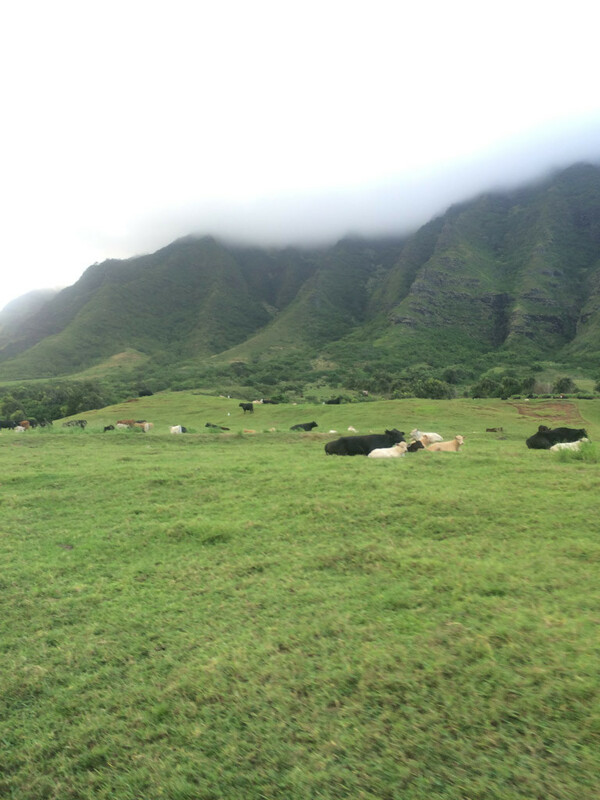 But it is still a working cattle ranch where you can get local, humanely raised, grass fed beef. They don’t ship their meat anywhere, but you can place an order online and pick it up right there on the ranch. And let me tell you — their meat is delicious. So this place is kind of a weird mixture of an awesome, local ranch and a touristy, gimmicky type-place. I honestly had no idea what to expect and I still have mixed feelings about it. You can just stop by, grab a burger, and walk around a bit, but you can’t see much of the ranch unless you go on a tour. 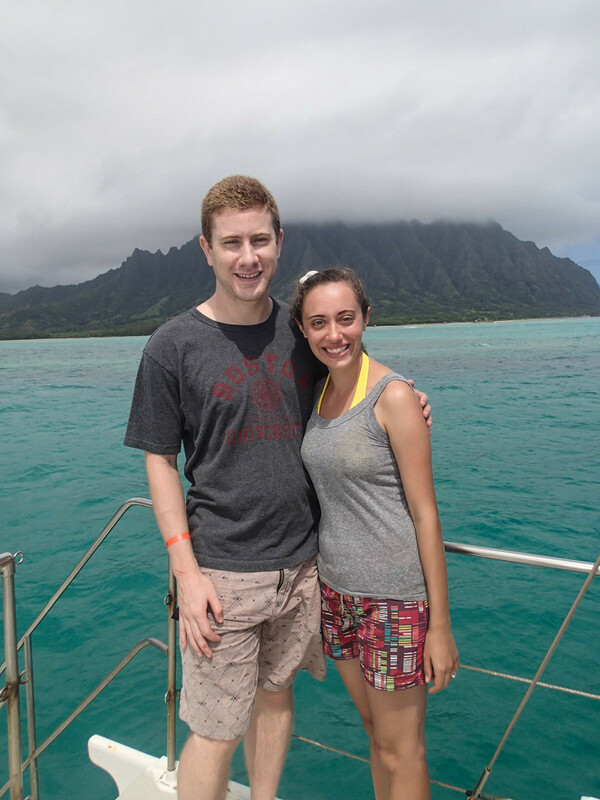 You can go on as many tours as you want so we decided to just spend the whole day soaking up as much as we could. 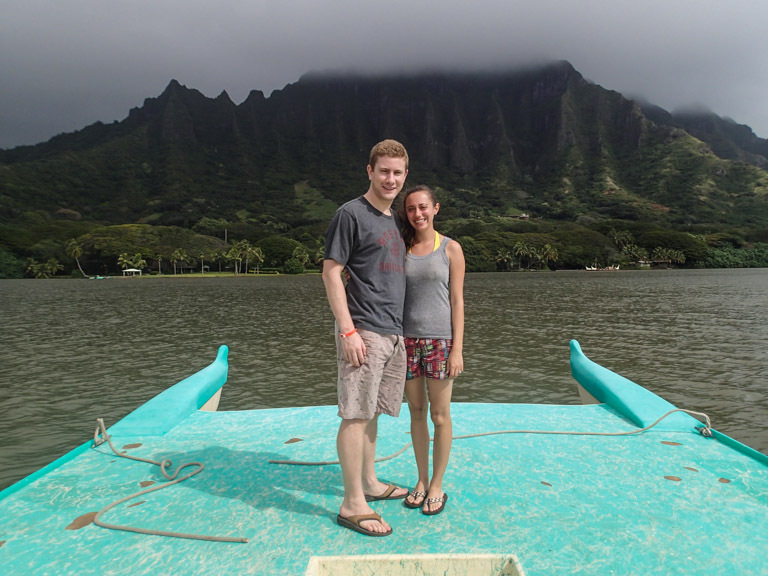 Our first stop was a ride on a catamaran on a fishpond. 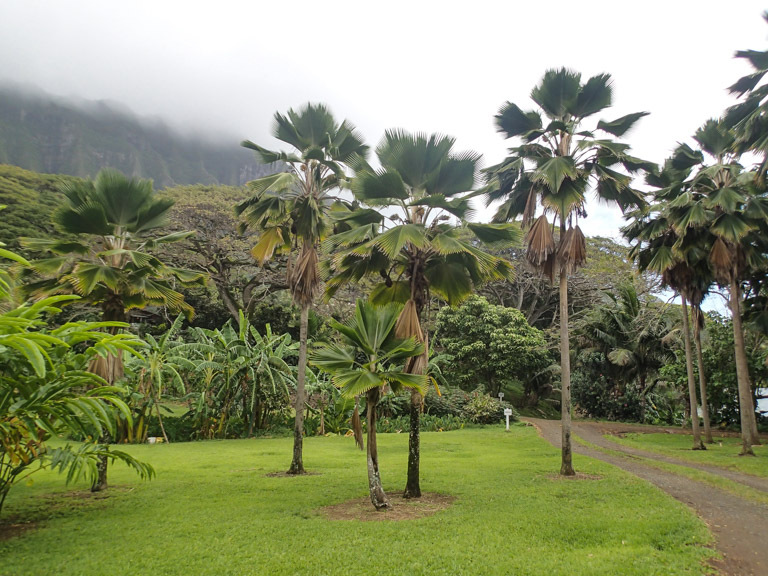 After the boat ride, that same guide took us to the ranch’s botanical garden where we got to see fruit, coffee plants, flowers, and other native plants. I think that this was my favorite part about the whole day because Hawaii’s plants are just so unique and interesting to me. 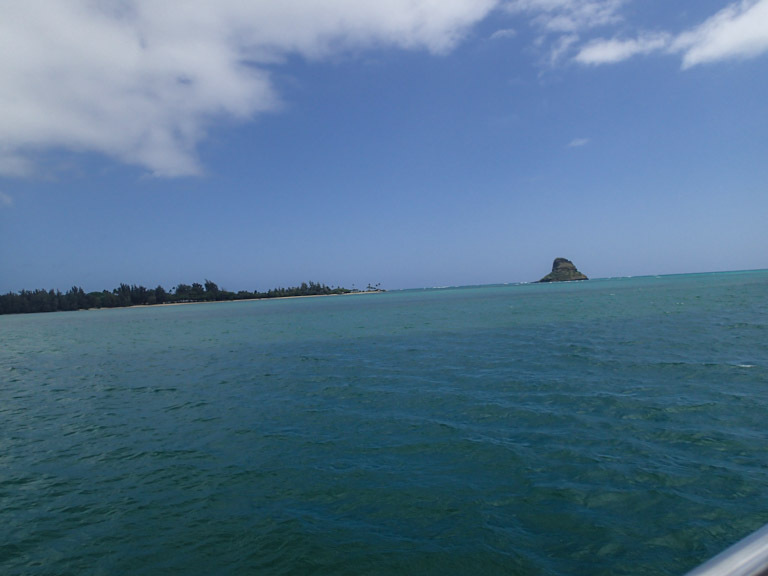 For our next tour, we got on another boat that took us around Kaneohe Bay. 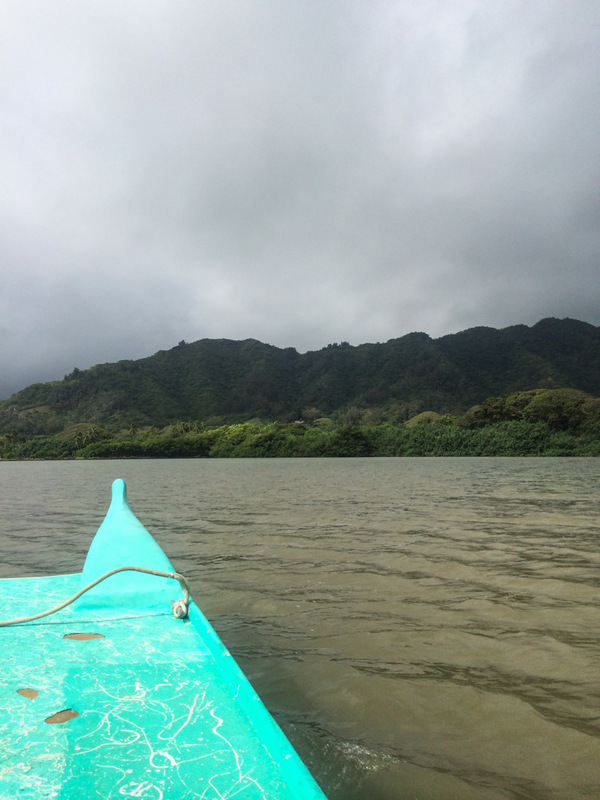 I had never gotten to see the island from this point of view before, and I loved it. This really didn’t have anything to do with the ranch, but it was a cool little excursion that I would definitely do again. 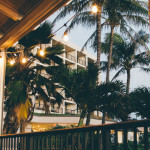 How gorgeous is this place? 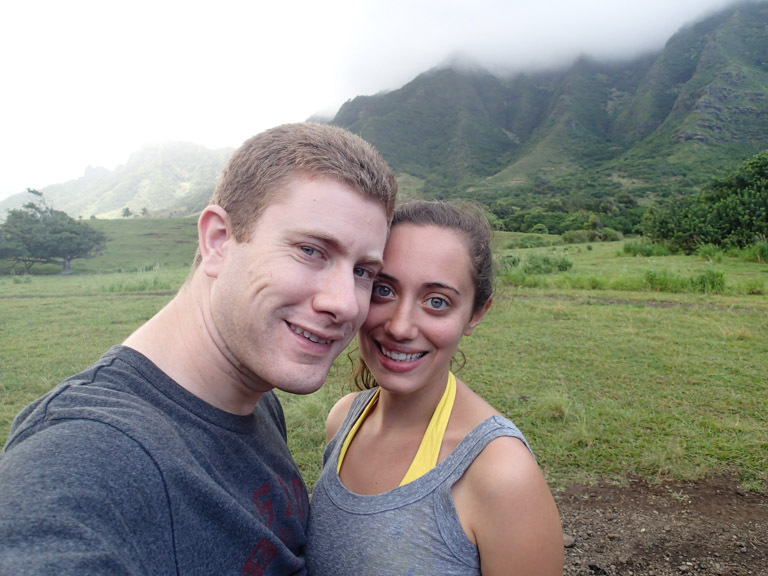 Nick and I had a ton of fun during our day at Kualoa Ranch, but I have mixed feelings about recommending it. It was kind of expensive, which is to be expected for something like this. 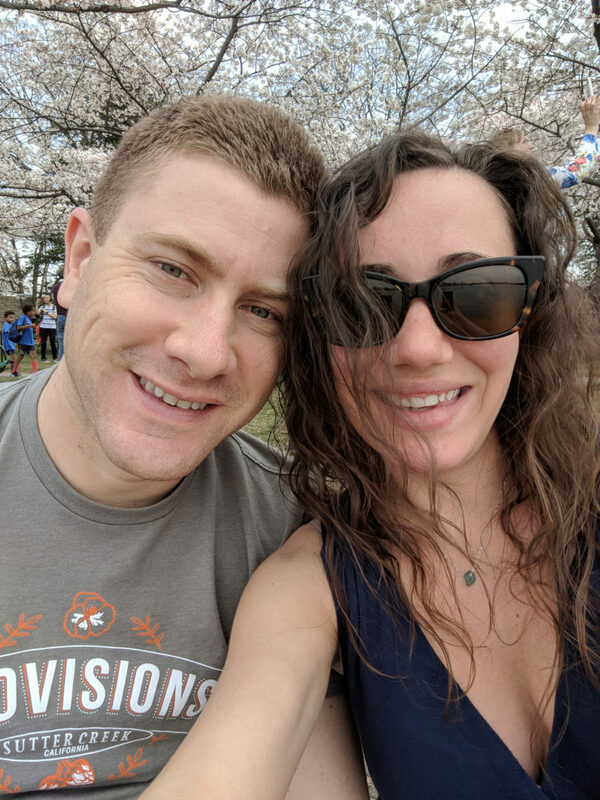 We both agree that we wouldn’t have done this if we were on vacation on Oahu and only had a few days to explore because there are so many other things we would personally rather do. But I can see why people like it. 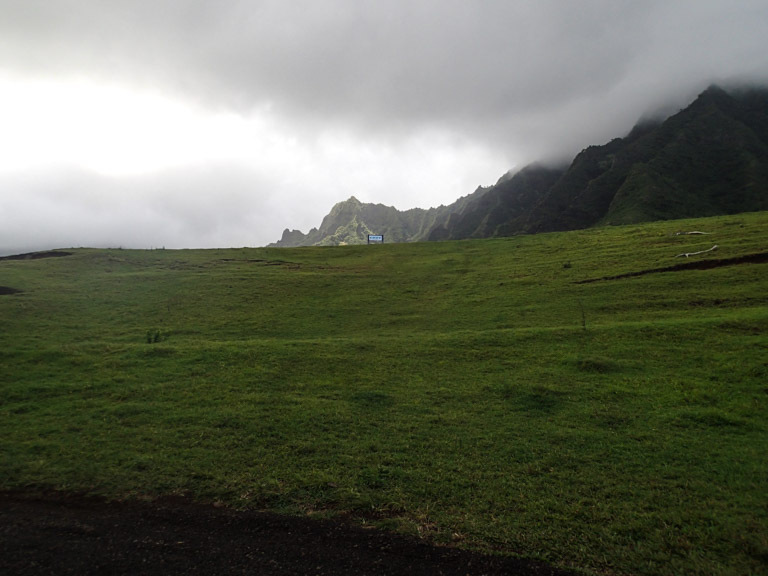 I haven’t brought a single visitor to Kualoa Ranch. I think that if you are interested in visiting the ranch, your time would best be spent by picking one tour and just doing that. 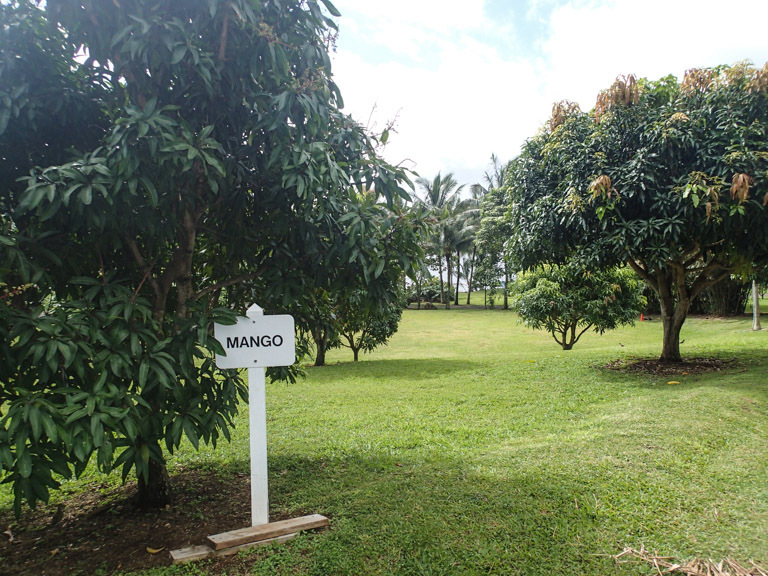 Each tour is 60-90 minutes, which I think is the perfect amount of time to soak up the beauty of the ranch in whatever way you choose – horseback riding, on the boat ride, checking out their gardens, or going on the movie tour. Any of these tours is a lot of fun, but I don’t think you need to spend the whole day here to feel like you experienced it. After a few hours you will feel like you got a nice taste of this gorgeous place. I will be back for their delicious steaks, though! 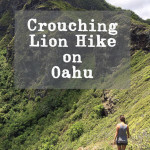 Crouching Lion Hike, the North Shore’s hidden gem. 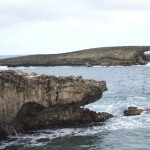 Laie Point: the legend, the views, the tranquility. How cool! I didn’t even know this existed!! !